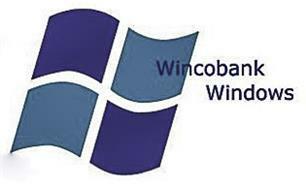 Wincobank Windows - Fascia/Soffits/Guttering, Windows/Doors/Conservatories based in Sheffield, South Yorkshire. Wincobank Windows are a well-established, independent company based in Sheffield. With over 30 years’ experience we provide a comprehensive range of services including replacement windows and doors using high quality uPVC products. We pride ourselves on our friendly and professional approach, backed up by first class customer service. When contacting Wincobank Windows for a quote you can always be assured of our best price from the start. Our company is built on our reputation, with a considerable percentage of work resulting from recommendations from satisfied customers. No job is too large or small and you can be assured of our prompt attention at all times, with the minimum of disruption. Our commitment to quality is evidenced with full insurance-backed guarantees . Being a CERTASS registered company; it is a requirement for all of our employees to participate in a three-yearly accreditation examination. Sheffield, Barnsley, Chesterfield, Rotherham, South Yorkshire.